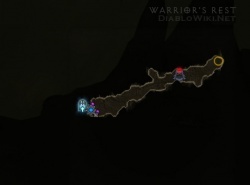 Are you looking for Warrior's Rest (lore) for the Historian of Tristram achievement? 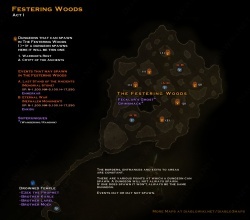 Warriors Rest is a dungeon within the Festering Woods in Act I. The Broken Blade quest takes you into this tiny dungeon but there is no need to go here once the quest has been done. Warrior's Rest is in some way involved in the following achievement(s). This page was last edited on 20 March 2015, at 11:43.